Traditions can be great, but not all wedding traditions are necessary. What's important is that carry on the traditions that mean the most to you and start new traditions. I personally love the bouquet toss at weddings. I really enjoyed the competition of trying to catch the bouquet and now that I am married I love cheering on my girlfriends as they try to catch it. For some reason this idea came to me pretty early on in my wedding planning. 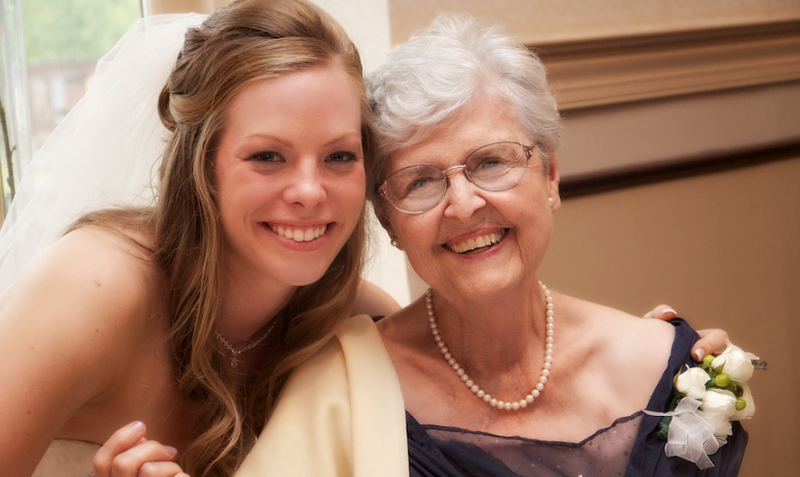 I knew I wouldn't have that many single gals at my wedding and it was my Nana's birthday. One day I was over her apartment having lunch with my Nana and Pops. They started talking about a new movie that was coming out. Long story short my Pops asked my Nana on a movie date. I quickly thought, wow, this is adorable. A marriage that has lasted 50 years+ that still includes a man asking his wife on a date. I quickly thought if Matt and I can be married 50 years and still be going on dates, I will be one happy girl! So with this story in mind I knew I wanted to surprise my Nana with my bouquet. I wanted her to know I was happy that she let me share her birthday and that she is an amazing role model. Keeping the secret was hard, but totally worth it. I gave a short speech and handed her my bouquet. Then cued the DJ to start playing 'Birthday' by The Beatles. 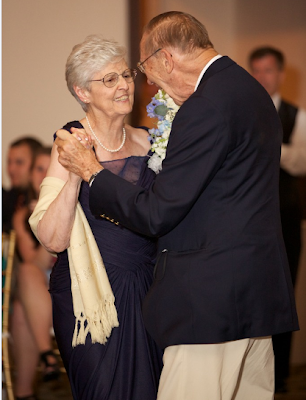 One of the sweetest things was watching my Nana and Pops dance like they were newlyweds. I also loved the idea of my Nana having my bouquet in her apartment to show all her friends. What a great story to tell! Think of the traditions that you want to keep and change to make your own. Don't forget about your dog!